As you'll see the Indigenous Guardians Toolkit combines content and resources on a wide variety of topics related to Indigenous Guardian programs. The Toolkit is designed to be as user-friendly as possible, so that you can have access to and share information that is most important and relevant to you. There are multiple ways of finding, downloading, or sharing content and resources. The Toolkit is organized into 16 chapters. At any point you can access the chapters using the dropdown chapter menu at the top of the page. Then within each chapter, you will find a chapter overview page with the sections of what is covered in that chapter in the left hand column. This same table of contents is also accessible as a drop down menu on each section page throughout the chapter – so that you can easily move around and find different topics. Each chapter and section have resources supported by text, resources include (Tipsheets, Worksheets, Infosheets, Templates, Stories, Illustrations, Quotes). All the resources associated with each section are listed on the left column, click on the resource that you are interested in. At the bottom of each chapter overview page, there is a link to all of the resources in that chapter. 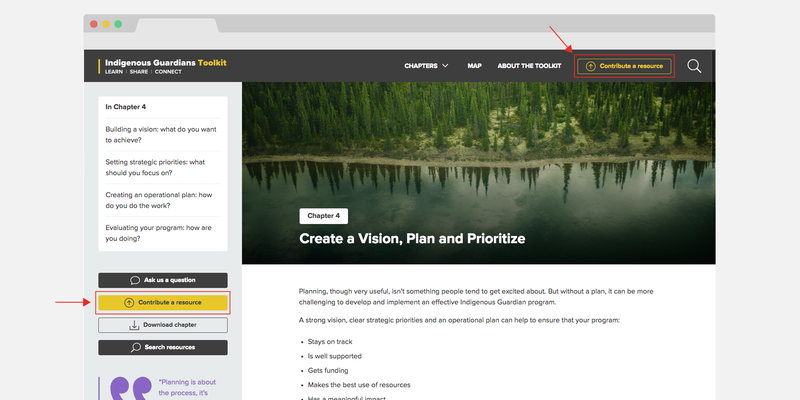 This lets you quickly look at all of the resources associated with the chapter topic. To find information on a specific topic, you can use the search function at the top right of the page. Click the magnifying glass and a search bar will appear where you can type the keyword. Or you can access the search function through the “Search Resources” button in the left hand column of the Toolkit pages. Within the search function, you can look for your keyword in Resources or in Text. The Resources tab will show you all the Infosheets, Worksheets, Templates, Tipsheets etc that related to your search term. The Text tab will show you all the relevant sections of the Toolkit that related to your search term. You can download the entire Toolkit or individual chapters in PDF format. In addition, you can download or share any of the resources (Tipsheets, Worksheets, Infosheets, Templates, Stories, Illustrations, Quotes) that you find useful. Just click on the share icon next to any resource and you'll find options for sharing with email or to social networks. If you have a resource related to your Indigenous Guardian work that you feel would be useful to share with others, please consider sharing it through the Toolkit. You can submit your resources to the Toolkit team and we may contact you for more details and then will add them to the Toolkit. The map of Indigenous Guardian programs is growing. If you'd like to add your community to the map you can submit a brief description of your program and key activities. We may contact you for more details and then add your community to the map. Indigenous Guardians Toolkit has a Facebook group where the conversation continues. Join the group to ask questions and exchange comments and stories with other communities working on guardian issues.